Arterie Fine Arts - Beadacious! as well as Swarovski crystals, Bali and sterling silver. 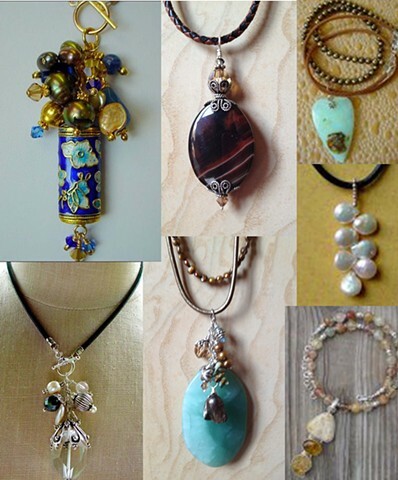 It is the vast variety of gemstone beads that inspires me. I love the look, the color, the cut, the shape, the texture, the feel and the natural beauty of the beads. I love that there are endless possible combinations which inspire the creation of a beautiful piece of wearable art. When designing a piece, I am most conscious of achieving a beautiful balance of color, shape & texture. Getting lost in the whole creative process is true joy.